Tips for working moms of all types. You are already stretched to the max…so maybe we can share our ideas on how to make it a little less challenging?? Life is all about letting your learnings take you to incredible places. my learnings and experiences have led me to an incredible graduate studies program at Royal Roads University. My Master of Arts in Learning and Technology cohort are incredible people from diverse backgrounds. My profs are inspiring me every day. The learning is incredible, exciting, and relevant as healthcare absorbs technology into its crevices. As a result, I am spending significantly more time now on my academic blog. You are welcome to seek me out there at A Prescription for the Future: Learning, Development, Healthcare. As always, my best regards. It has been exactly one year and 12 days since my very first (and only) ever anxiety attack. There it is. Out there. Yep. I lost it, big time! You may judge away, but there is something big to be gained by the universe slapping its hand across your cheek so profoundly saying “Snap the F*%k out of it! This is not where you need to be.” Yet now, even 377 days into the recovery of my body and mind, I am left with the sense that once you cross the line of exposing your body to extreme stress, it is very, very difficult to get yourself entirely back across again. It was awesome (powerful awesome, not good-time awesome). I recall gasping like a fish out of water with no ability to take a full, deep tidal breath. I know breathing. It’s my career. This was overpowering and all-consuming with cardiac impact and a sweet shot of adrenalin to shake me through the aftermath. My dear colleague talked me through it, asking if we needed to walk the 50 metres down the hallway to the ER. I refused to be seen by co-workers in a state of complete lack of control. I remember a dear voice across the room saying out loud “Christy, this is insane. You need to walk away from this.” Sometimes, the challenge is not the work in front of us, but in the walking away and letting go. Seated on a comfy, reflective couch 2 months later I found the causation explanation I was so desperate for. Sometimes our deepest fears pop up like whack -a-moles in our daily lives. The foundation of our coping is shattered by a side-impact, unexpected. But this story is not about cause, it is about affect…because that is how I am left. Affected. Where I once felt great satisfaction in accomplishing multiple tasks on a busy afternoon between racing to taxi around small family members, I am now unexpectedly left fluttering, nauseous and distracted. There is a new baseline. A new me. More reflective yet more fragile. More wise, yet more wary. There is no way of going back. Involuntary change is challenging regardless of the intensity and impact to our lives. Change casts the shadow of our underlying fears. Fear of loss, fear of failure, fear of being unworthy. So much fear underlying so many of our everyday actions and always, always hidden in our words. There are so many things to be afraid of and we learn of many of them very young. Born bold, resilient and spontaneous, we learn hesitation, humiliation and loss as they pound us and shape our bodies into our adult forms. What we may not fully realize is that these sculptures of self are still pliable after all these long years. Call it personal growth, call it neuroplasticity, call it a mid-life crisis if you will. We know that there is more to do and more to be because we feel in our core that glimmer of radiant light that is wonder. We remember bold. We remember feeling so light and unencumbered. My steel tight grasp on my path through life has been wrenched free, leaving a void where there was once surety. I have a new normal and weave this into my family’s everyday lives as best I can with the skills of grounding, calm, meditation, and self-preservation. Some days, that is enough. This week, I struggle to breathe…to cope and move forward without collapsing into a teary mess. I continue to unearth and deconstruct my fears as I struggle to accept that there really is no version of me that I will get back. There is only the me that I will become. Sometimes, you just aren’t ready for the lessons that life has in store for you. Head down, focused on your daily struggles or eyes focused on a prize that is not meant for you…and BAM! The universe reveals itself, huge palm to your face, and says “Hello there Blondie, don’t go this way! ” My lesson came swift and smothering, like a slap and then a pillow to the face. No time to scream, kick or flail. Inner trauma requiring a complete halt of everything I knew to be me. This lesson will change my life course dramatically. But isn’t that what lessons are about? Isn’t that why we are here? To experience pain, joy, love, fear and discover, through these events, who we are at our core. To reveal our essence. To break and then re-build, with love. 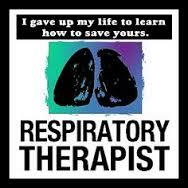 I am a health care worker, to be specific, a Respiratory Therapist. Or, at least I thought that was who I was. My work had become my identity, the vibrance and force behind my vitality. Then, for reasons I cannot disclose, my work was taken away from me. My sustenance withdrawn, a struggle ensued. It was messy, it was exhausting. Mud flew and I fell to my knees in exhaustion. I believe that I only survived because of my support system and because I found an amazing guide to help me make sense of this unfairness, this trauma, this… lesson. My guide broke me down into 4 pieces. My body, my Ego, my spirit and my soul. (If you had met my Ego, you would understand why he gets capitalized!) In complete disharmony, my work was to reveal these pieces, understand them, find them balance and set them free. How can a helper and healer survive if she cannot help? The love that I felt for and from my patients, their families and my co-workers was a connection to my purpose and fuelled my soul (Well, hello Ego!). This energy was a force for my survival. So taken away, I found myself adrift and utterly lost. My Ego was horrified, scrambling to find me some source of love and vitality. So I went deeper, found my soul and saw…the light within. This light was deep buried and like hauling an iron bucket up from the deepest of wells, I work daily to keep it in sight. My soul resides in this well, with walls built thick and dark and wet around it. My life’s work is to break down these walls brick by brick and lift this bucket up for all to see. I see now that caring for others is not my destiny. It is my destiny to love. But first, I must love myself. I had lost all respect for my body, running it to exhaustion until my heart literally warned me of the danger of this path. Respect for the body, the mind and the soul must come before all else. Only then can we turn this love outward and be free. Four hard months of caring for and healing my body, revealing my Ego, discovering my spirit and reveling in the light and clarity of my soul. These are the gifts of this life lesson. I will tell you what I have learned, but know that each of us is on a unique journey and no one story is the same. Your answers will come on your own time. (Have you ever found a book at exactly the right time for reading it? Not made sense of something the first time you experience it but then had a wicked ‘A-ha’ moment at a later date?) I know that every day we can either make decisions – rational thoughts weighing in on pros and cons – or we can make choices. Choices come from our soul, our heart and often feel like intuition. In the words of my favorite guide, “Analysis is paralysis.” To experience your path, you need to feel your way through it. Close your eyes to reason and use your heart to know the answer. I am unbelievably grateful for the circumstances that caused me so much pain and confusion…resulting in growth, creation and love. In this, I found forgiveness. The pieces of me that fell shattered, once put back together, no longer form the same person. New boundaries around self care and family have been set. New priorities revealed. A new lens through which I witness sources of love and joy that have been there all along, patiently waiting for me to find them. Will I remain in health care? Yes, in some form or another, as I have a passion for education and healing. The context is irrelevant. In today’s acute health care, there are limitations that my morals and values will never agree with. (Putting it politely!) My heart speaks to driving change but not at the sacrifice of self-care. My patients deserve the best. 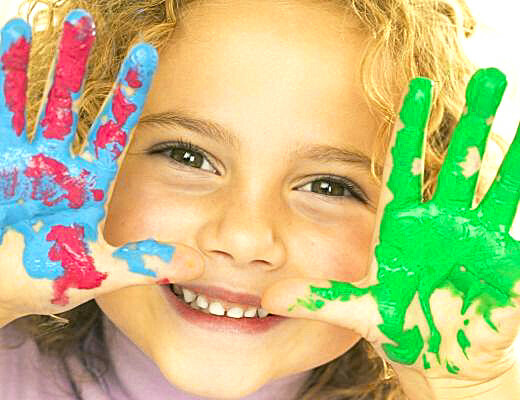 Caring at all levels – emotional, mental and spiritual as well as medical. Care without love is not healing, regardless of how much we would like it to be so. To love in our care is much harder work…but as I now know, the work of love gives back 100 times more, letting the pieces come together. Letting our stories weave together. A tapestry of hope, joy and peace. I believe that when you strip me down to the core of my being, there are light things and there are dark things. There are needs and there are wants. I need engagement, connection and to feel a sense of belonging. I need to be able to express how the world affects me, right or wrong, it is my own interpretation. Where the danger and the damage lie, is in the way other humans react and respond to my interpretation. This is where the world changes us. This is how we learn hurt, fear, rejection, and boundless shame. Is it avoidable? Not without massive culture shift. But there is always hope and it lies within, tucked up tight against the light, the dreams, the longing and the voice inside you that is straining to be freed. When you were little, you heard things that changed you. If you were lucky, and I mean VERY lucky, the words molded you in a way that bound you stronger to your own foundation, working with your light. Shaping its intensity and radiance. If you were not so lucky, you heard words that dimmed your light, taking the surety and strength out of everything you said and did. These words cracked your foundation, crumbling it in a long trail behind you. Maybe the trail is so long that it looks like you could never trace it far back enough to get to the first piece. Your light waned, dimmed and cast shadows throughout you. I remember shadows being so terrifying as a child. They could have me believing in things that did not exist. Feeling terror for no reason. Believing in an untruth. But I am a grown up now. I can more easily tell truth from lies, light from dark, good from evil. I am still the same child with the same basic needs but my defenses have grown with me whether I know it or not. The fear, rejection, and hurt will always surround me whirling like an invisible snowstorm. But the light inside us has heat. A warmth and a glow that can melt the most frigid of winters. We just can’t be afraid anymore. We need to believe that the light will guide us to the life that we have always longed for. We need to believe with everything that is within us. Our light is unique and beautiful and worthy. The world will know more color and beauty and joy just from witnessing our light. So take those words that you heard as a child. If they were good, then nurture them, nudge them, and hold them towards your light to receive even more energy and love. If they were bad, gather them from every corner of your head where you can hear them, even the ones scrambling to desperately hide. Wrap them up in both hands. Squeeze them until they are tiny, forming a dark and heavy mass . Hold them over the edge of a cliff that knows no bottom and just… let them go. Author’s addendum :February 3rd, 2016. I revisited this post today after profound personal and professional experiences have forced me into reflection and self-exploration. I have become aware of what my ‘defences’ really looked like from the outside…throwing myself into my career, searching for validation in my work both from the satisfaction of helping others and furthering my profession. If I fed my ego, I would be nourished as well, right? I have had two more years to witness how my own children have the potential of being so heavily influenced and changed forever by my words of judgement. I must be so much more careful with these beautiful, fragile, spirits. The worst thing I could do would be to dim their light. Because now I understand how hard it is to fight my way back through the dark to reach the light.